Nothing to be ashamed of as the Windows 7 interface can be a thing of great beauty. I admit to turning the visual effects off so my system is relatively drab but very workmanlike. Voyager 13.10 with a selection of the many Conky themes (and one Superkaramba) included which can all be relocated on the screen using the management GUI included. SuperX Linux 2.1 "Ada", 32-bit. 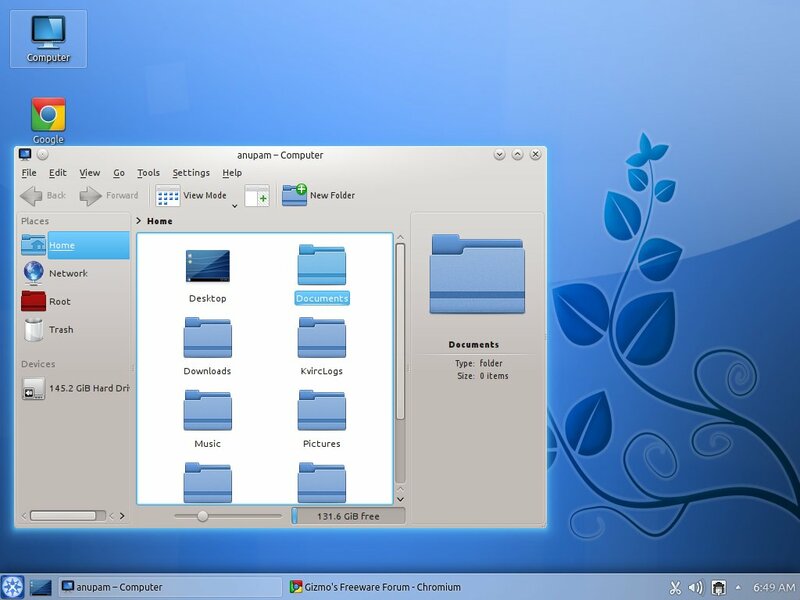 Neat looking distro. Pinguy 12.04 LTS with Acyl icons, Malys uniSEX Clear base theme, Win-7 borders and Superkaramba. Shows the Comodo Antivirus scanner for Linux updating.